As you are setting goals for this coming year, shift your focus to the most powerful piece that will make your resolutions stick! Setting New Year’s resolutions is easy. It’s kind of like daydreaming about your perfect life, right? This year, I’d like to lose weight, find the man of my dreams, and get out of debt. Oh, and I’m going to start living life to the fullest! Well, all of those are well and good, but take them one step further. How are you going to make them happen? And, actually, I would challenge you a bit further to shift your focus off of the results you are looking for and on to your action steps themselves. You can’t control how much weight you lose, but you do have the power to change your eating and exercise habits. It’s not as hard as you may think, but it’s a piece so many people skip over! Come up with an action plan to get you from here to your goals, one stepping stone at a time. Instead of “lose weight,” break it down into how you are planning to make that happen. Are you going to start exercising 3 times a week for 30 minutes? Will you spend your Sunday afternoons getting your lunches ready for the week? Are you going to start carrying a water bottle with you that you are going to refill twice throughout the day? Think about the things you could write on a to-do list. If you can’t check it off at the end of the day, it’s probably not specific enough. Lose the vague ideas of what you wish would happen and get specific about the exact things that you can make happen! If you are currently a couch potato, do not set a goal to start running 5 miles a day starting tomorrow. You are going to make yourself miserable and feel like a complete and utter failure. Instead, look at where you are now and come up with small steps to get you headed in the right direction. 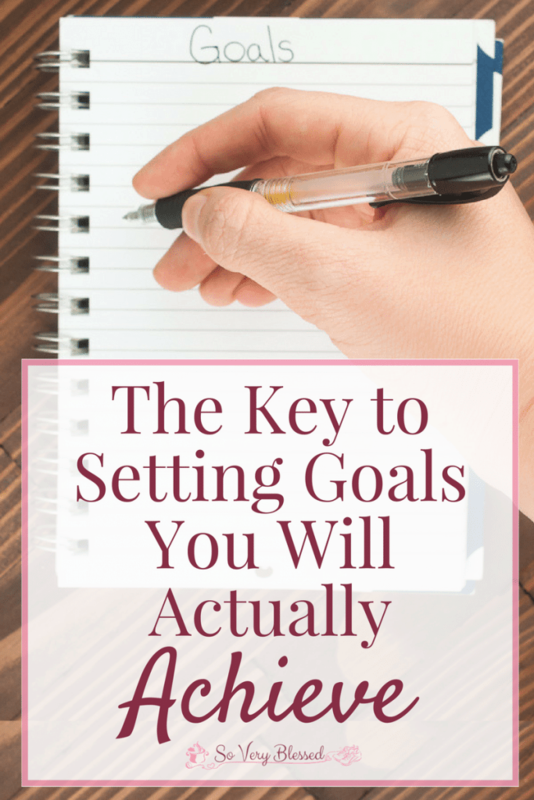 I understand the temptation to set lofty goals, believe me! I’ve done it, time and time again. I start the year strong and I rock January out, but by the end of February, I’ve usually fizzled out. Don’t drain all of your willpower, energy, and motivation in the first month! If you start slowly, you will start the snowball effect and gather more and more momentum as you go. Don’t just think about this year as you are setting goals. Think about the changes you want to make for the rest of your life. If you are starting a new diet or eating plan, ask yourself if that is how you still want to be eating 5 years from now. The only way changes are going to stick is by making the decision, day in and day out. If you don’t like the changes you are making now, you probably aren’t going to stick with them very long. That’s the beauty of one small change! Instead of forcing yourself to eat broccoli twice a day when you hate the taste, slowly work on sneaking vegetables into your diet and over time you will actually change your taste buds while still enjoying your food along the way (I’m living proof!). 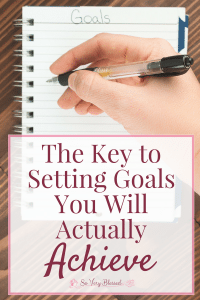 If you can put more effort into following through on your action plan than just wishfully thinking about your results, you are going to be well on your way to success in no time! Happy planning! What actions are you going to start taking today?